Bloat refers to the bloating that happens in your dog’s stomach when excess gas, foam, or fluid builds up. Just as with humans, bloat alone is uncomfortable, but is not necessarily dangerous. The danger comes with the Gastric Torsion that can sometimes follow bloat. 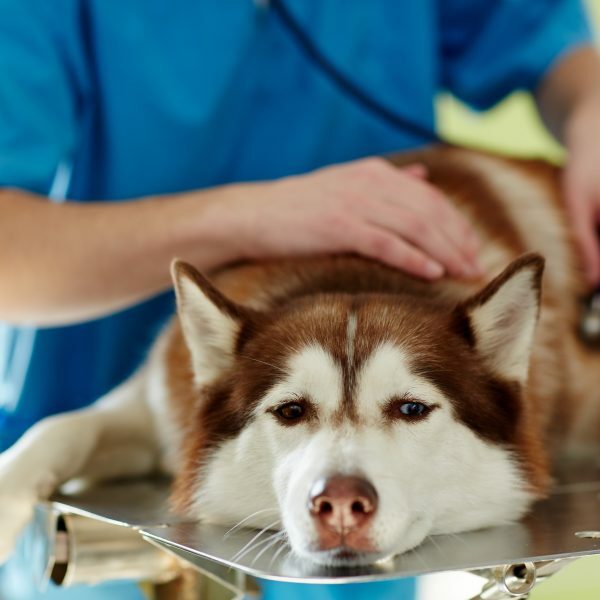 Gastric Torsion, or Gastric Dilation-Volvulus (GDV), is when your dog’s stomach twists or flips and is potentially sealed off from the rest of the digestive tract. As the digestive processes in the stomach continue, gas, fluids, and more continue to build and continue to enlarge the stomach because they cannot flow through the rest of the digestive tract. As the stomach continues to bloat and enlarge, it puts pressure on the surrounding organs, blood vessels, and tissues, including the diaphragm, which causes difficulty breathing. If left untreated, Gastric Torsion can become fatal quickly, sometimes in just 30 minutes. How Common is Bloat in Dogs? Bloat is more common in large and giant dog breeds, especially those with a narrow or barrel chest. 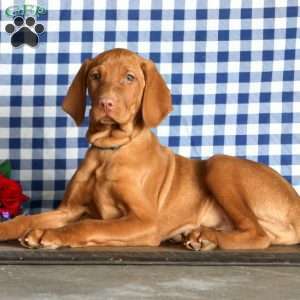 Some of the dog breeds that tend to be at a higher risk of bloat are Great Danes, Bloodhounds, Irish Wolfhounds, Gordon Setters, German Shepherds, Doberman Pinschers, Irish Setters, Akitas, Boxers, Standard Poodles. In general, large and giant dog breeds have a higher risk of bloat. Dogs with relatives who have experienced bloat are at a higher risk for it. Eating too fast and eating a single large meal a day can also increase the risk for bloat. Dogs that eat too quickly are at a 15% higher risk of bloat than dogs who take their time. Eating a single large meal in a day pulls the stomach down and can stretch out the ligament responsible for holding the stomach in place. 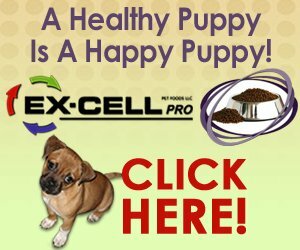 Over time, this increases the risk of bloat for that dog. In general, older dogs are at a higher risk for bloat than younger ones, especially those who belong to the large and giant breed categories. Additional factors that can increase the risk of bloat include stress and a temperament that is fearful, nervous, and aggressive, which only increases stress and anxiety further. Also, if a dog has had GDV occur previously, they are at a high risk to get it again. One of the biggest and most obvious signs of bloat is a swelling or swollen stomach. Your dog’s abdomen will be visibly distended and will likely also be hard to the touch. Dogs experiencing bloat will also show signs of visible discomfort and stomach pain. Dogs with bloat will often start drooling excessively. Drooling is a common symptom for a lot of health conditions and also an expression of many moods, so drooling alone may not be an indication of bloat. However, you still want to take note of it, especially if your dog is not normally a drooler. Dogs experiencing bloat will feel nausea, but cannot belch or vomit to relieve the pressure, so they will often end up drooling instead. On top of that, dogs experiencing gastric torsion usually cannot swallow, which leads to even more drooling. Shortness of breath can be a symptom of many things and it’s also a sign of bloat. When Gastric Torsion or GDV occurs, the enlarged stomach puts a lot of pressure on the surrounding organs, blood vessels, and tissues, which can cause trouble breathing. Shortness of breath is often paired with an abnormal heart rhythm. Dogs experiencing bloat may also show signs of restlessness as they attempt to alleviate pressure. As belabored breathing continues, they may also have sudden weaknesses and collapse. If you see any of these signs, especially more than one, it’s important to take your dog to the vet as soon as possible to get your dog help. If their stomach has twisted, you will only have a short window of time to help them. Gastric Torsion tends to be fatal if left untreated for 1-2 hours and has become fatal in only 30 minutes in some cases. Some dogs will already have an increased risk of bloat and gastric torsion. If they are a large or giant dog breed, especially those that are barrel-chested, they are at a higher risk. Relatives who have experienced bloat also increases the risk for it. Although there is still a lot we don’t know about what causes bloat, one thing is widely agreed upon – eating and gulping water too quickly can lead to bloat. When your dog is gulping down food or water quickly, they’re also gulping down a lot of air at the same time. Ingesting large amounts of air can lead to bloat. Foods that cause your dog to be gassy can also lead to bloat under the right conditions. Rigorous exercise right after eating is another potential cause. Dogs who have had issues with Gastric Torsion previously should never be permitted to exercise directly after eating or drinking a lot, as they are at a much higher risk for it happening again. There are a few things you can do to help prevent bloat. Because eating or drinking too fast or eating only one large single meal a day can lead to an increased risk of bloat, monitoring your dog’s food and water intake can help. Using bowls specifically designed to slow your dog down while eating and drinking can make a big difference. These bowls are built with obstacles your dog has to work around, which forces them to eat and drink more slowly and reduces the amount of air they ingest. Also, instead of feeding your dog one large meal a day, space them out into smaller meals and use a slow feed bowl. This will help protect your dog’s stomach and ligaments over time to help manage the risk of Gastric Torsion as they get older. You can also monitor your dog’s water intake on hot days or after exercise. They are more likely to gulp down water when they are hot. Using a water bowl designed to slow them down is a big help. You can also take their water bowl away and let them drink in shorter increments. This can help keep them hydrated and cool them down while also preventing them from gulping large amounts of air. Limiting table scraps and making sure your dog can’t get into things they shouldn’t, like the garbage, can help cut down on gas-inducing foods. Although these may seem like a treat for your dog and may be tasty going down, it can end up with them in a lot of discomfort and pain later, or worse if Gastric Torsion occurs. If you think your dog has bloat, the best treatment is to take them to the vet. The vet will examine them and take x-rays of their abdomen. If it’s just bloat and the stomach doesn’t show any signs of twisting or flipping, the vet can use a tube to help release the pressure in the stomach, which will resolve the issue. Your dog’s stomach will no longer be bloated and they’ll feel a whole lot better. On the other hand, if Gastric Torsion has occurred, your dog will need surgery. They’ll get IV fluids immediately to help get them stabilized and will likely be in shock, so will need to be treated for that as well. Then, the vet will perform a surgery to untwist the stomach and get it back in its proper place. There is also a surgery that attaches the stomach to the abdominal wall. This is called a Gastroplexy and prevents the stomach from being able to flip over again. It’s highly recommended for dogs who have had GDV because they are at a high risk for getting again and a Gastroplexy can make sure it doesn’t happen. It may seem like a pain to pack up your dog and go to the vet every time they’re not feeling their best. But, if you know your dog’s normal behavior, then you can tell when something isn’t right. When it comes to your furry best friend, it’s better to careful and find out it’s nothing than to ignore it and potentially lose them.